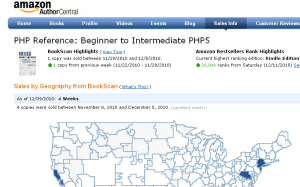 On December 10th, Amazon announced a new set of features available for free through Author Central: BookScan sales and historical sales rank data. Naturally, since at first glance these seem to be a similar feature set to what NovelRank offers, I took a look (along with thousands of other authors). After careful analysis, I decided to write this post and help inform current and future NovelRank users about the key differences and benefits. I’ve always said, if there is a 10,000 lb elephant in the room, put the spotlight on it. First, a few quick links. If you want to read some FAQs about Author Central Sales Info, login to your Author Central Account, or learn more about BookScan, then take a look and then come back here. Otherwise, let me refresh your mind on a few key points. 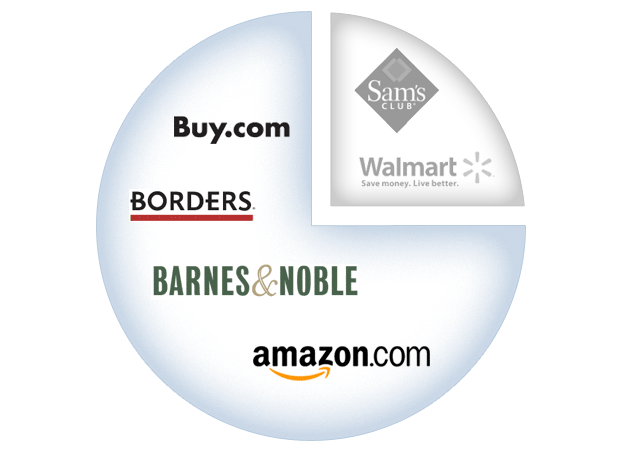 BookScan data represents Nielsen tracking of 75% of book sales through retail and online providers, as identified through the Amazon provided graphic to the right. Strangely, Amazon is not supplying their actual sales data to their suppliers (i.e. authors), but rather a 3rd party’s data. Granted, it offers a broader scope, but Amazon still is not providing actual data (like it does with Kindle sales for self-publishers through the digital text platform). 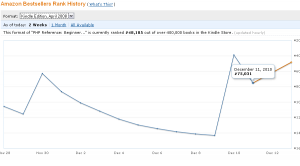 BookScan data does not track Kindle sales, and thus authors cannot get this data through Author Central. The sales rank tracking provided is a daily history of sales rank, collected at 11am PST (7am GMT). It goes back as far as October of 2009 or when you joined Author Central, if that date is after October of 2009. This matches NovelRank’s oldest tracking, as it launched in Oct 2009 as well. However, within 24 hours, Sales Rank can fluctuate dramatically providing valuable hourly sales data analysis. None-the-less, I think there is some great information here, but I’m still happy to have NovelRank. Below is a breakdown of the strengths of each of these services. I’m excited for the benefits to authors that Amazon is providing, but I’m still thrilled to be offering this free service, NovelRank, to authors and publishers across the world with more specific needs. If you continue to enjoy this service, remember to consider a donation to support it. Why Does NovelRank Underestimate Sales for Popular Books? This entry was posted in Research and tagged Amazon.com, author central, Sales, sales rank on December 13, 2010 by Mario Lurig. I’m still puzzled about the novelrank vs. bookscan comparison. Novelrank says 8 copies of my book sold in April. 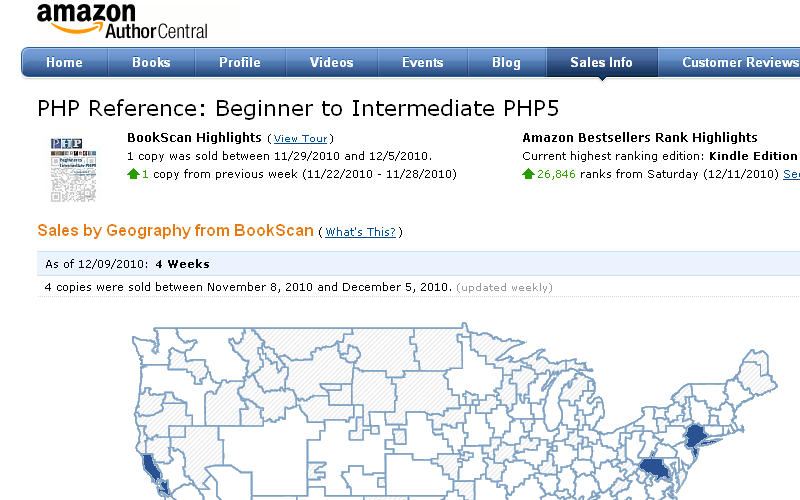 Bookscan says 1 (and at most 2 or 3 of those were kindle sales). 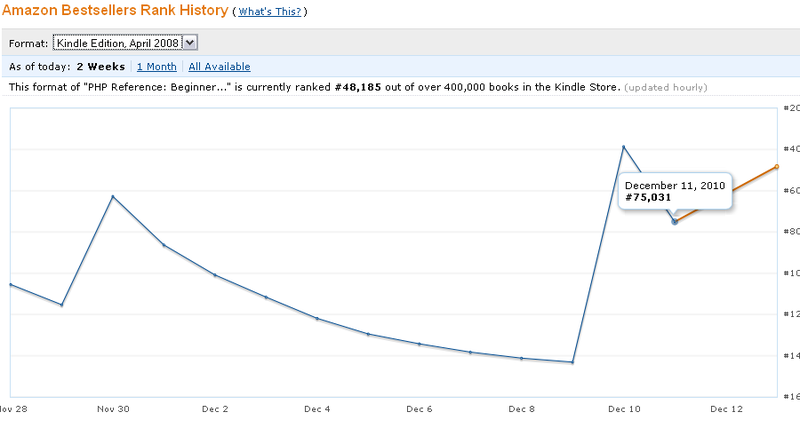 The amazon salesrank has fluctuated (generally) between 100,000 and 700,000. Any insights? Amazon has your book covers, as you put it, as different unique ASIN numbers, thus different pages on NovelRank. 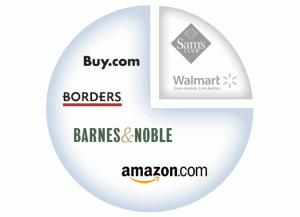 Email me directly at ADMIN at NOVELRANK dot COM with more info. Hi NovelRank: I was delighted to see that now my sales info can be viewed for U.S., Canada, and UK all at once. However, my UK data is not showing up…it seems to be linked to the wrong cover. So if I go to the UK page for my book there are sales, but the UK sales are not showing up on NovelRank at all.